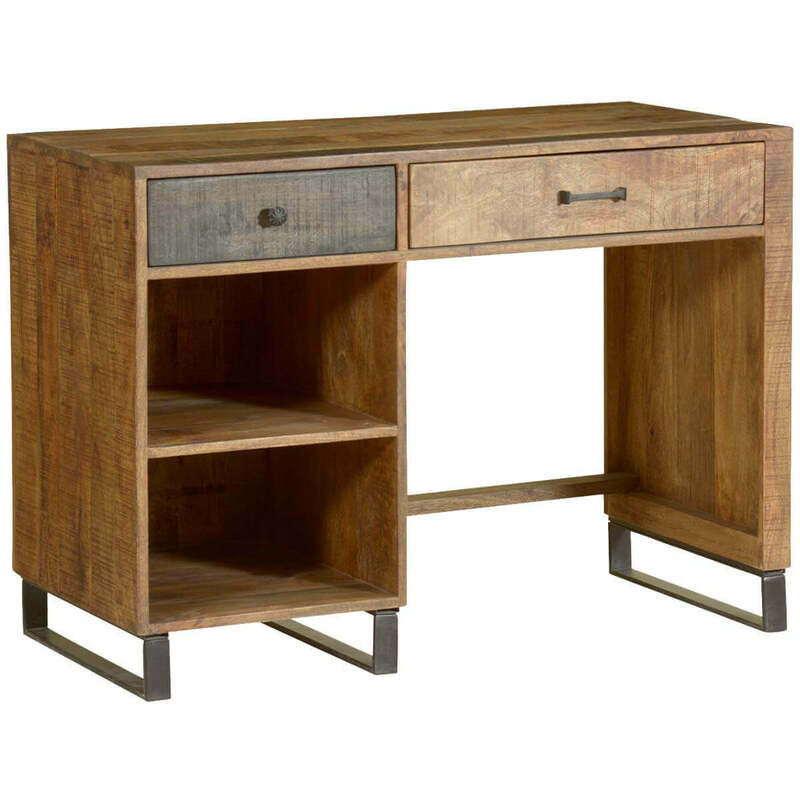 When we got rid of the carbon paper and discovered the laptop, we needed to change the look and function of our desks. 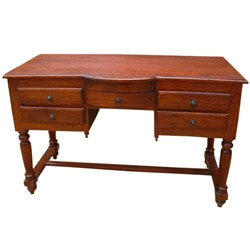 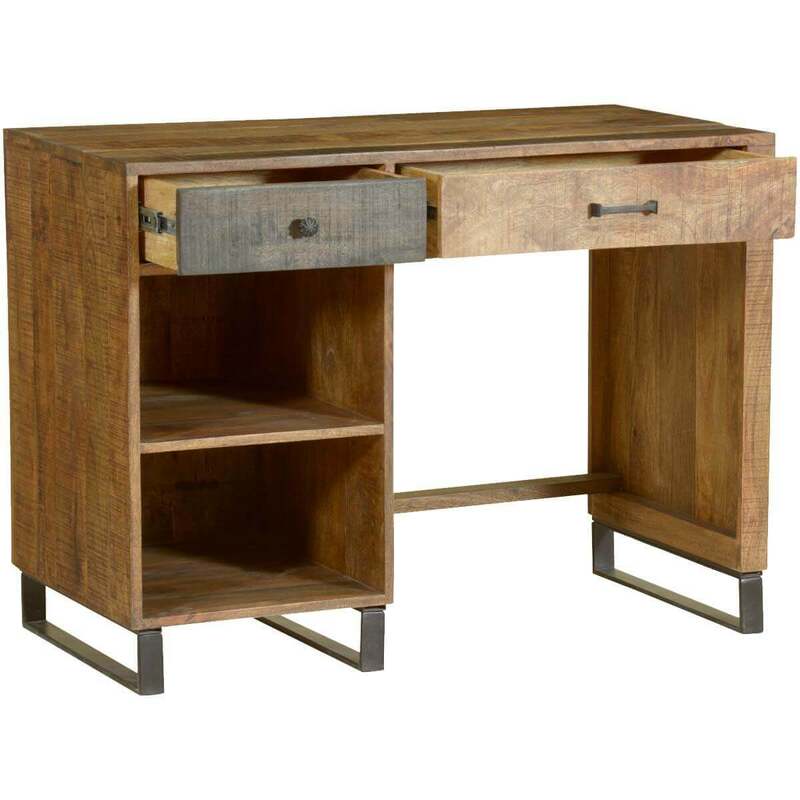 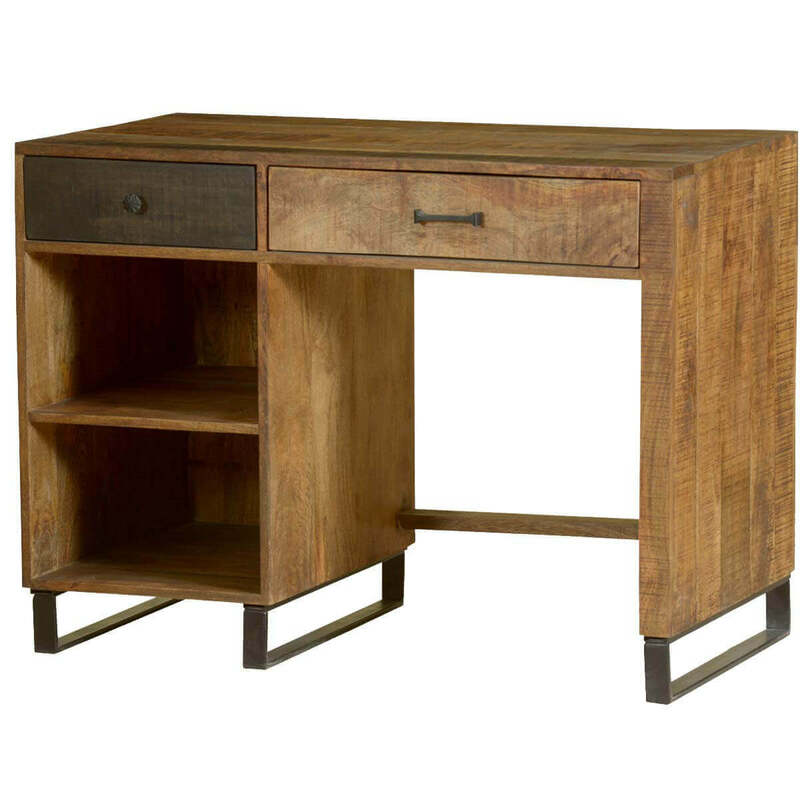 Our Wooden Patches Modern Desk has a warm and rustic look but is designed for today’s home office. 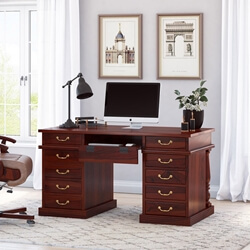 The contemporary workspace stands off the floor on an extended iron frame. 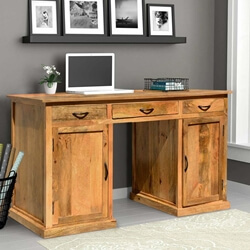 There are two classic top drawers and two open shelf spaces. 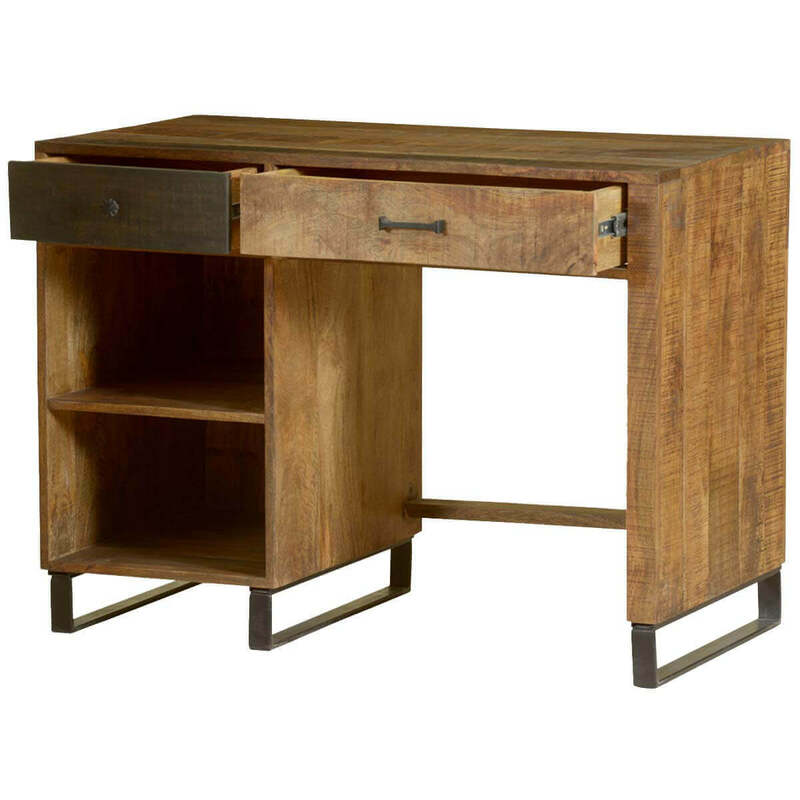 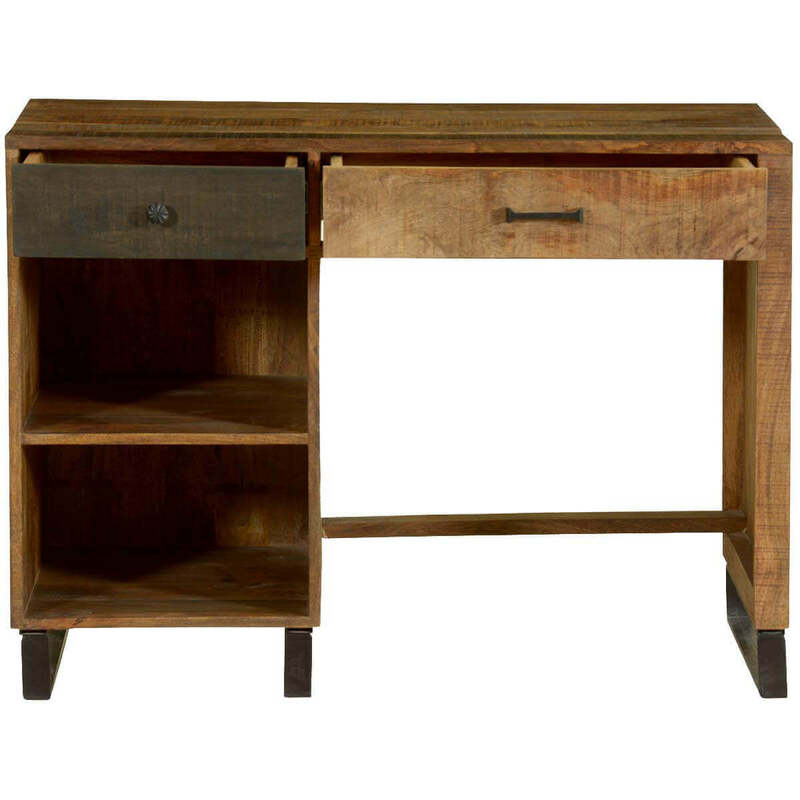 This handmade desk is built with iron and solid mango wood, a tropical hardwood grown as an eco-responsible renewable crop. 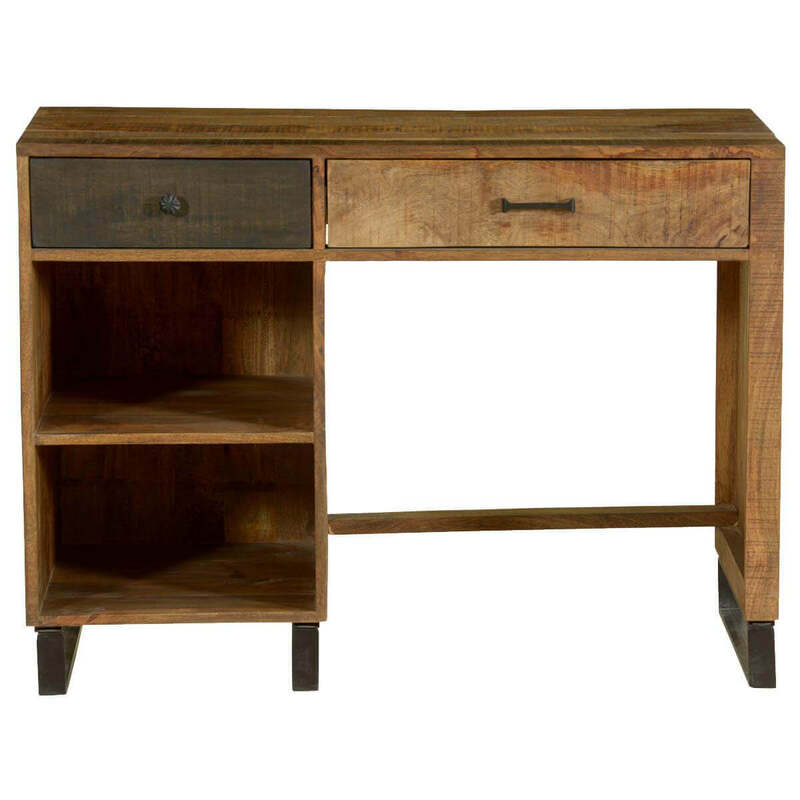 MDF is used in the back and in the drawers.